Mon-Fri 9:00 a.m. 6:00 p.m. Sat 9:00 a.m. 3:00 p.m.
For homeowners looking for a snow blower that powers through deep end-of-driveway snow yet agile and nimble, the SnowMaster® 724 QXE with a 212cc Toro OHV engine delivers impressive power, unprecedented maneuverability and simple, user-friendly controls. The unique and innovative helical design spins ten times faster than a typical 2-stage snow blower and efficiently throws snow with 40 ft. throwing distance. With Personal Pace, it automatically moves at your walking speed and the integrated automatic steering makes it quick and easy to make hairpin turns. It's ultra-maneuverable, easy enough for anyone to handle and still powers through tough, end-of -driveway snow. Cut Snow Clearing by 30%*: Clears 25% more snow per minute, cutting your snow clearing time by 30%, getting you back in your house and out of the cold faster. *Capacity will vary with conditions. Compared to Toro® Power Max® models. 11" Deep Lug Tires: Directional deep lug wheels for added traction. Automatic Steering: Allows smooth, tight turning without pulling or strain - no triggers or levers required. Beveled Chute Design: For an efficient snow throw stream. Handles Wet, Heavy Snow: Tall, open auger housing, free of obstacles reduces clogging in deep snow. The all steel rotor has a (1) helical design which quickly breaks up and gathers snow to the (2) center section that throws snow far through it's tall chute opening. Personal Pace® Self Propel: Toro's innovative Personal Pace® self propel system automatically senses and adapts to your walking speed. Unibody Frame: Added durability with a one piece welded frame. Warranty: 3-Year Limited Deflector, Lower Chute, Chute Warranty Guaranteed for Life (original owner only) See retailer for warranty details. Clearing Width: 24"; Snow Cut Depth - 1 Pass - 18"
Replacement Paddle Kit (Part # 130-9569P): This Paddle and Hardware kit helps ensure optimum performance on your Toro SnowMaster. Over time, if skid shoes or scrapers are not replaced as needed on your SnowMaster your snowblower paddles could contact asphalt or concrete and will wear down and need replacing. Replacement Skids (Part # 130-9619P): The Toro skid shoe for the SnowMaster is a 2 piece design with a metal bracket that attaches to the unit and a polyethelene shoe that protects your driveway and sidewalk surfaces. 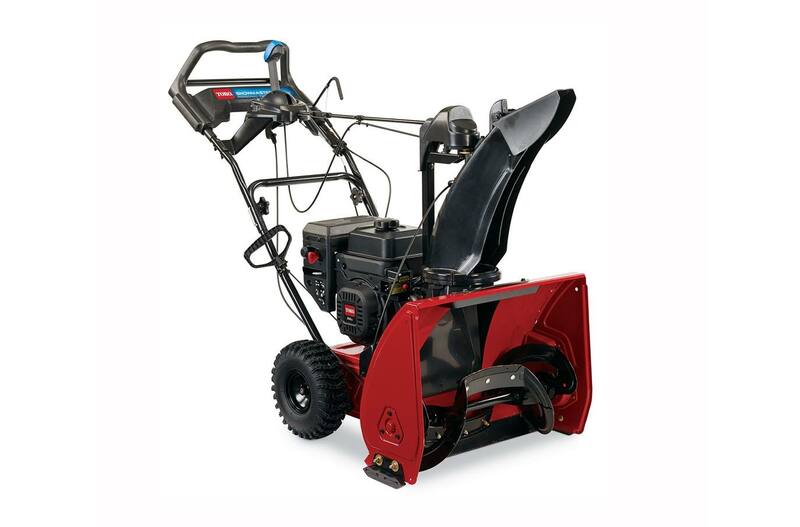 Two-Stage Cover (Part # 490-7466): Protect your investment with a snowthrower cover made of heavy-duty polyester that's waterproof, abrasion, and tear resistant. This cover is vented to promote air circulation and minimize heat and moisture build-up. *Throw distance will vary with conditions. **See toro.com (US), toro.ca (Canada) or your dealer for warranty details. †Capacity will vary with conditions. Compared to Toro® Power Max® models. We're recognizing those who serve in the United States military, as well as those who serve their communities across the country. 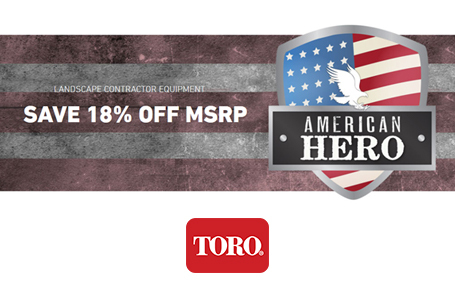 We'd like to thank you by offering special pricing on Toro Professional Landscape Equipment. Program runs through October 31, 2019 at participating Toro dealers only. See participating dealer for full program details. 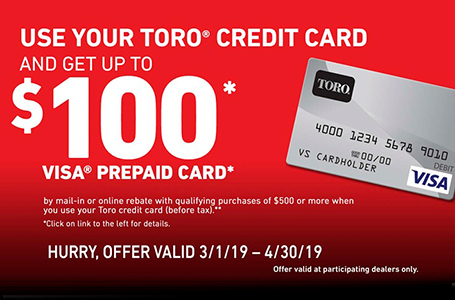 by mail-in or online rebate with qualifying purchases of $500 or more when you use your Toro credit card (before tax). *Click on the links below for details. Purchasing Toro products is easy and affordable with special Toro sponsored finance promotions available through your participating independent Toro dealer. Both revolving charge (Toro Credit Card through Citi) and installment loan (Sheffield Financial) programs are available. Your dealer may offer either one or both options...just ask them. You may apply online and get a decision in seconds or visit your participating Toro dealer today! Note: Online applications are completed through the Citi or Sheffield Financial websites. Citi's and Sheffield’s privacy statements and website terms and conditions apply. Toro Credit Card is issued by Citibank, N.A. See information regarding the Visa Prepaid Card Offer. Submit and track your rebate online at Rebate Redemption. Toro Credit Card is issued by Citibank, N.A. Visa® Prepaid Cards are issued by Metabank®, Member FDIC, pursuant to a license from Visa U.S.A. Inc. Instant approvals and easy closings for customers with non-prime credit. Click here to Learn More and Apply. Financing Programs are offered by Roadrunner Financial, Inc. All applicants are subject to credit approval. Approval, rates, minimum purchase requirements and terms advertised are based upon the minimum credit bureau (FICO®) score indicated and overall creditworthiness. Your FICO® Credit Score, key factors and other credit information are based on data from Experian® and may be different from other credit scores and other credit information provided by different bureaus. Offer applies to a maximum of 2 units per applicant. Other qualifications and restrictions may apply. Minimum amount financed is $1,000. Maximum amount financed is $25,000. UCC filing fee may be charged. Offer not valid for mowers used for commercial purposes. Offer effective on eligible and qualified Toro Mowers purchased from a participating Toro Mower dealer. Offer valid in the U.S. only. Other financing offers are available. See your local dealer for details. Financing promotions void where prohibited. Offer subject to change without notice.